The Association of Anatomical Pathology Technology (AAPT) is the recognised professional body for anatomical pathology technologists employed in hospital and public mortuaries across the UK. Since its formation in 2003 AAPT has been acknowledged as the principal voice for the profession by all major stakeholders allied to anatomical pathology technology. To help AAPT attract new members and retain their current membership, they had two issues that needed solving, their membership website and their Continuous Professional Development system (CPD). AAPT’s previous membership website wasn’t designed for mobile usage. Because of this, AAPT members found it difficult to use the website on mobile devices. With over 80% of internet users now accessing the internet on a smartphone, having a mobile-responsive website is a crucial part of any membership organisation’s digital strategy. The AAPT CPD system wasn’t available online or optimised for mobile devices. To provide better performance for AAPT’s current membership, and to attract new members, it was important that users would be able to access their CPD accounts on mobile devices. We worked with AAPT to provide them with a new responsive membership website and new CPD system. 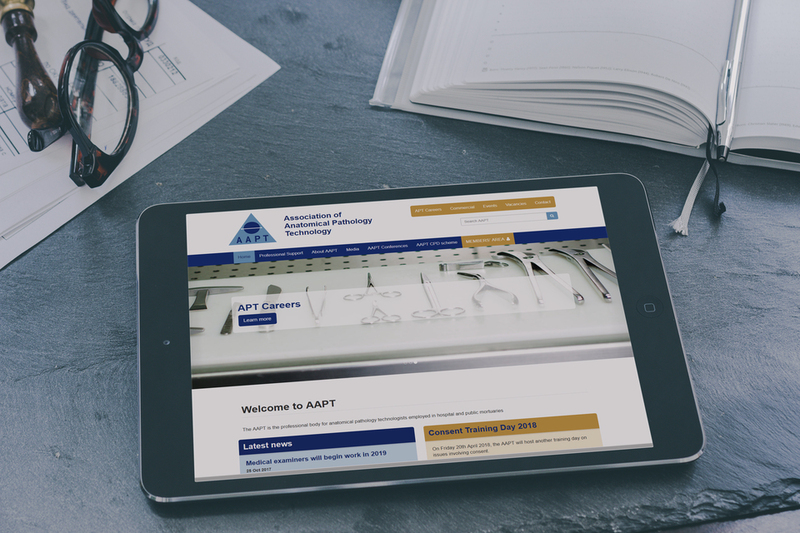 To ensure that the AAPT website was accessible on all devices, we built them a new responsive membership website complete with a new modern design to optimise usage on mobile devices. We analysed several other membership websites to ensure that AAPT’s new website not only promoted new membership sign-ups but satisfied their current membership. We also created a simple bespoke CMS Admin interface which would allow AAPT to fulfil any ongoing in-house editing requirements and website management. Having previously built several CPD systems for other membership associations, we already had the framework ready to adapt it to AAPT’s requirements. We reworked the front end dashboard of our CPD solution to make it responsive on all devices and built an online backend function to replace AAPT’s current system. 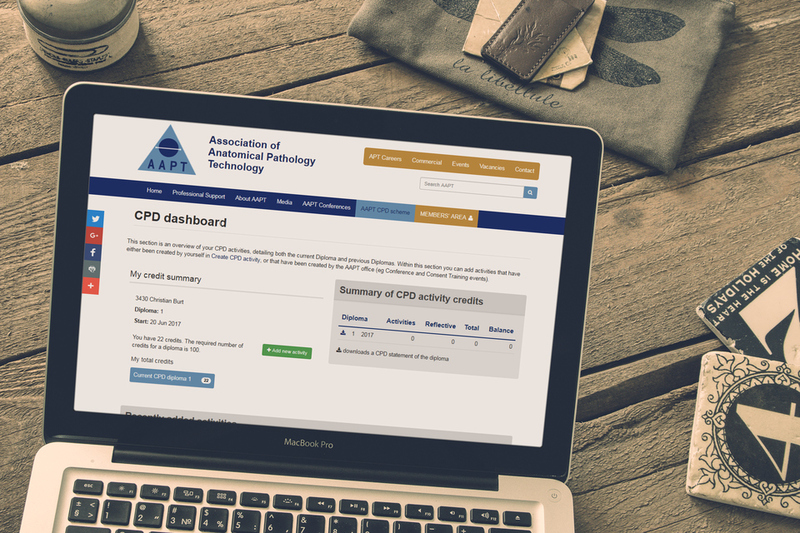 In the new AAPT frontend dashboard, users are able to see a summary of their CPD activities and credits. We also created a function so AAPT members can upload their diplomas into the new system, which could then be approved by AAPT’s admin team. At Artonezero, we create membership websites and membership software that builds user-engagement, increase new member sign-ups and help membership organisations retain their membership. If you would like to discuss your membership website with an experienced recognised Memberwise Supplier, book a callback today and one of our in-house experts will be in touch to discuss your project requirements.